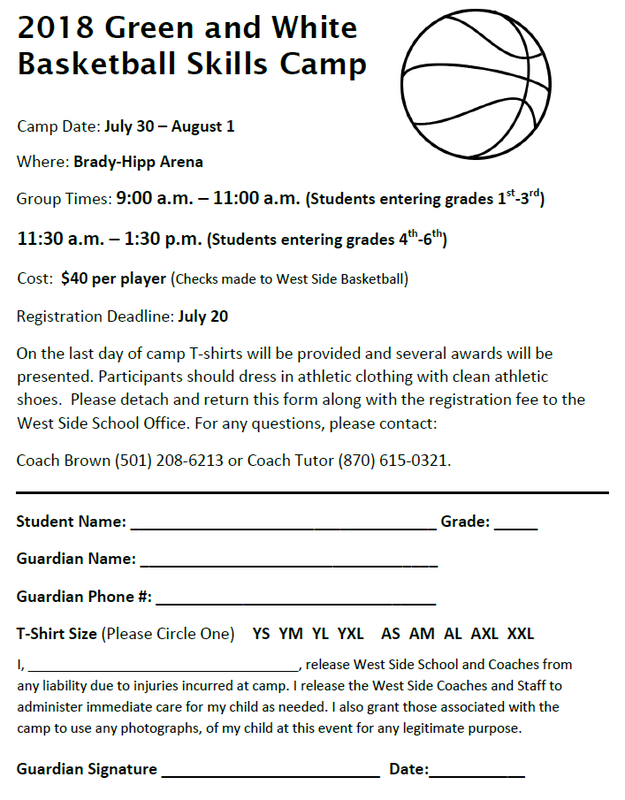 Friday is the deadline for youth entering grades 1-3 and 4-6 to sign up for Green & White Basketball Skills Camp, which will be held July 30-August 1. the camp will be run by coaches Megan Tutor and Keith Brown. The cost is $40 per player. T-shirts will be provided on the final day and several awards will be presented. For more information, call (870) 615-0321 or (501) 208-6213 ... or contact the school at (501) 825-7241.